Swimming pool accidents are all-too frequent in Arizona. Learn about your rights and defenses if you’re involved in a swimming pool accident. According to the Centers for Disease Control and Prevention (CDC), about 10 people die from unintentional drownings every day. Year-round warm weather and the presence of more than 300,000 residential swimming pools puts Arizona at particularly high risk for swimming pool accidents. This article examines the prevalence of drowning accidents in Arizona, the laws governing swimming pools, the damages that may be recovered in the event of a drowning, and tips to prevent swimming pool accidents. According to a report compiled by the Drowning Prevention Coalition of Arizona, the drowning death rate of Arizona’s preschoolers ranked 1st in the nation throughout the 1980’s. Over the least 6 years, Arizona ranks 4th among all states for drowning deaths among children ages 1-4, and such deaths occur at a rate nearly 2 times the national average. Not all drownings are fatal, but more than 50% of drowning victims are treated in emergency departments. In the most recent year for which the data is available, 419 people were admitted to hospitals in Arizona for an incident of drowning or nonfatal drowning. It’s estimated that hospitals in Arizona charged over $10.3 million for care related to drownings in 2016. The term “premises liability” refers to a set of rules that require property owners to take certain measures that ensure their property is safe for visitors. The measures they must take (or, to put it another way, the standard of care that they’re held to) depends on the status of the visitor. Invitee: Invitees are owed the highest degree of care. Landowners must keep the property reasonably safe and warn of dangerous conditions. Licensee: The landowner must warn the licensee of dangerous conditions that the landowner knows about and the licensee is not likely to discover. Trespasser: Landowners don’t owe trespassers any duty of care unless the trespasser is a child. If the trespasser is a child, the attractive nuisance doctrine applies and the landowner must exercise reasonable care to avoid a reasonably foreseeable risk of harm to children caused by artificial conditions that might be attractive to children (such as a swimming pool). The injured person was in fact harmed. If a landowner leaves their pool inadequately protected or unsupervised, they will likely be liable for any drowning injuries that occur — regardless of whether the injured person was an invitee, licensee, or trespasser. Of course, other laws may apply and other parties may be held liable depending on the nature of the accident. For example, if an older swimmer holds a younger swimmer underwater, the older swimmer may be guilty of battery. If a pool pump malfunctions and injures a swimmer, the injured swimmer may be able to file a product liability claim against the manufacturer of the defective pool pump. In an effort to reduce the high number of injuries and deaths by drowning in Arizona, the legislature passed Arizona Revised Statute 36-1681, which requires pool owners to take certain safety measures when 1 or more children under the age of 6 live in their home. Public and semi-public pools must meet certain requirements set forth in Title 9, Chapter 8, Article 8 of the Arizona Administrative Code and Title 18, Chapter 5, Article 2 of the Arizona Administrative Code. In addition, some counties have their own regulations that are stricter than the regulations set by the state of Arizona. Check your local and county websites to see the code regarding swimming pool safety. Regardless of whether a pool visitor is an invitee, licensee, or trespasser, certain risks such as slippery surfaces around the pool and the danger posed by diving from inappropriate places are considered so “open and obvious” that the owner won’t be held liable. Similarly, when a swimmer is injured, the owner will look to establish that the swimmer caused the accident or was at least partially at fault for the accident. Arizona operates under the law of pure comparative fault. This means that the injured person’s damages will be reduced in accordance with their degree of fault. 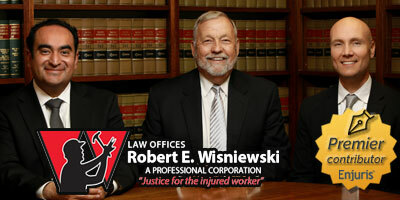 In most cases, the injured person will recover economic damages and noneconomic damages. Punitive damages are rarely awarded, but may be available in extreme cases when the defendant was either grossly negligent or intentionally caused the accident. Keep in mind that almost all homeowners insurance policies provide coverage for swimming pool accidents, which increases your chances of recovery in the event that the landowner doesn’t have any money. For most negligence, intentional tort, and wrongful death claims, the statute of limitations in Arizona is 2 years. However, if the claim is brought against a public entity or public employee (which might be the case if a public pool is owned and operated by the county), the statute of limitations is only 1 year and a notice of claim must be filed within 180 days of the injury. Never leave a child unattended in the pool or pool area. Because flotation devices and swimming lessons are not substitutes for supervision, a child should always be watched when in or around the pool area. CPR/CCR instructions and the 911 emergency number (or a local emergency number) should be posted in the pool area. All residential pool owners should attend water rescue and CPR/CCR class. All items that could be used to climb a pool barrier should be removed from around the barrier. We hope these tips help you to own a pool or swim without worry. In the meantime, if you need to speak with an attorney, try the Enjuris Arizona law firm directory. Pool Safely is a national public education campaign from the U.S. Consumer Product Safety Commission (CPSC). Learn more about how Enjuris and Pool Safely help make water play and summer fun safer for families!